Why do some contact lens brands contain the word ‘toric’? What is the difference between these contact lenses and ones that don’t have the word ‘toric’ in them? It has to do with something called ‘astigmatism’. If you’re not familiar with that astigmatism is, you may have difficulty understanding what a toric contact lens is. To brush up on the concept of astigmatism, click here to read my article on astigmatism. 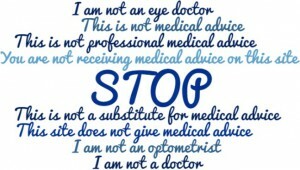 Most people have some level of astigmatism in their prescription for glasses. 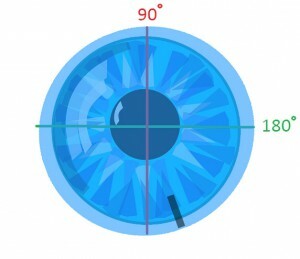 Often times the astigmatism is not strong enough to be significant (Cylinder value smaller than -0.75), in which case it can be ignored in the contact lens prescription. However, if the astigmatism is -0.75 or higher, that’s when you will require contact lenses for astigmatism, also known as: toric contact lenses. Contact lenses for astigmatism are not as straight forward as regular (also known as ‘spherical’) contact lenses. The basic difference between the two is that spherical contact lenses has a single focusing power (the ‘sphere’ power) throughout the lens, whereas a contact lens for astigmatism has two different focusing powers in it (the ‘sphere’ and the ‘cylinder’ powers). An eye with astigmatism requires two different focusing powers in the glasses or contact lenses in order to see clearly. But in addition to specifying those two powers, it is just as important to identify the direction in which the two powers are required. This is called the axis. The 2 principle powers (sphere and cylinder) are always 90 degrees apart. They can be oriented in any direction, not simply horizontal & vertical. When someone has astigmatism, they require the two different focusing powers to be in a precise position in order to see clearly. This makes it very important for toric contact lenses to position themselves correctly on the eye, as well as to remain as stable as possible throughout all hours of wear. To assist your eye doctor in determining if your toric contact lenses are fitting properly, every toric contact lens is manufactured with a small line etched into the contact lens itself. When the contacts are being worn, that line should be pointing straight down in the 6 o’clock position. 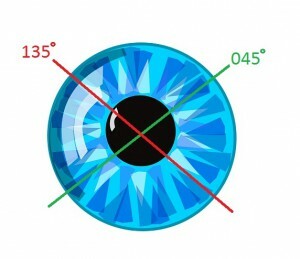 If the line is not pointing in the right direction, the contact lens is not fitting properly, and vision will not be clear. What determinies whether or not the contact lens will position itself correctly is simply the interaction between the shape of the eye and the shape of the contact lens. This toric contact lens is aligned. The hash-mark points directly at 6 o’clock. This toric contact lens is NOT aligned. The hash-mark is rotated ~20 degree counter clockwise. If the line is pointing in the right direction at first, but the contact lens spins and moves around throughout the day, this will create fluctuations in vision. A certain amount of this is inevitable and normal. After all, there is nothing pinning the contact lenses down onto your eye, so some movement is normal. However, if the contacts are constantly moving around throughout the day and never stay in the correct position for very long, the vision will not be acceptable. When one brand of toric contact lenses doesn’t work out due to poor positioning of the lenses, or poor stability of the lenses, a different brand of toric contact lenses can be tried. In most cases, after trying out a few different brands, one will find a brand that performs well for them. Exceptions are possibly for people with very large or complicated prescriptions, or those with irregularly shaped eyes. Toric contact lenses have many limitations. There is only a relatively small range of ‘Cylinder’ powers for which toric contact lenses are available. 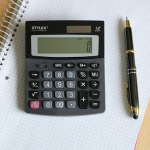 The range for most toric brands is between -0.75 and -2.25, although more and more brands are now offering -2.75 as the upper limit. If your ‘Cylinder’ power is -3.00 or higher, unfortunately, you are simply not a good candidate for toric contact lenses. The vision with toric contact lenses for people with astigmatism is generally not as clear as the vision with spherical contact lenses for people who don’t have astigmatism. 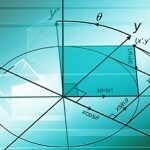 Part of the reason for this is that although one’s axis may be any number between 1 and 180 (i.e., 1, 2, 3, 4, 5, 6, … etc.) 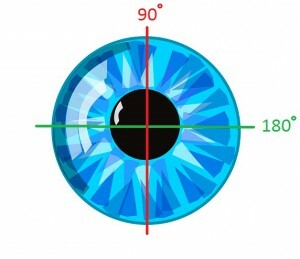 on their glasses prescription, toric contact lenses are only available in axis steps of 10 (i.e., 10, 20, 30, 40, … etc.). 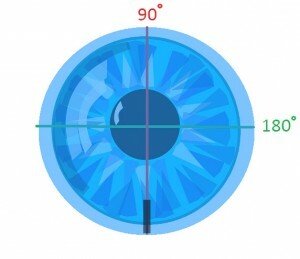 That means that for anyone with an axis ending not ending with a 0 in their glasses prescription has to round up or down to the nearest available axis in contacts lenses, which may have an impact on the vision. A similar problem exists when it comes to the cylinder power. Although a given brand of toric contact lenses may have a cylinder range of -0.75 to -2.75, cylinder powers are only available in increments of -0.50 (i.e., -0.75, -1.25, -1.75, -2.25, -2.75). Your glasses prescription specifies the ‘Cylinder’ power to -0.25 accuracy. 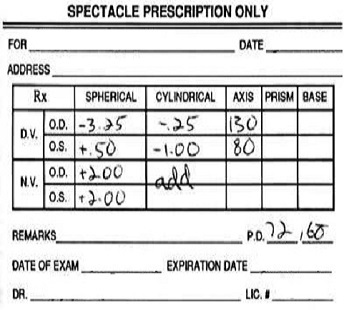 Therefore, if your glasses prescription ends in either a .00 or .50, you will have to round up or down. If your glasses prescription contains astigmatism, you may find it difficult to order toric contact lenses online because the numbers on your glasses prescription may not match what powers are available in contact lenses. 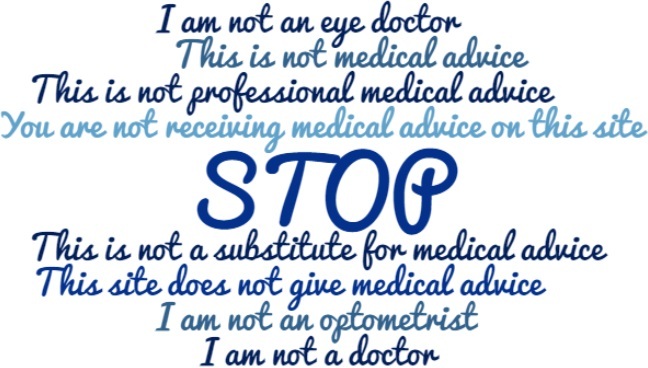 If you find yourself in this position, you will have to contact your optometrist to have him/her help you determine what your contact lens prescription should be. If it’s news to you that your glasses prescription can different that your prescription for contact lenses, read this article to better understand the difference.